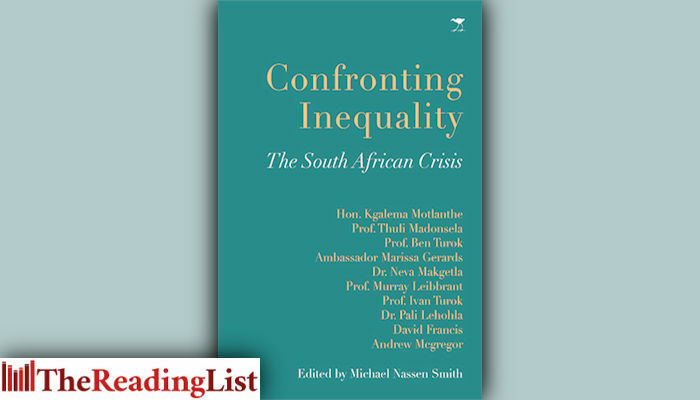 Confronting Inequality: The South African Crisis, edited by Michael Nassen Smith, is out now from Jacana Media. South Africa’s distorted distribution of wealth is one of the biggest challenges facing the country’s economy, with unemployment sitting at an unsustainable 27.7%. In terms of wealth, the top percentile households hold 70.9% while the bottom 60% holds a mere 7%. 76% of South Africans face an imminent threat of falling below the poverty line. With such statistics, the inequality crisis in this country is at a desperate level and strategies to remedy this challenge seem shallow and lack urgency. In this context, the Institute for African Alternatives has brought together a series of papers written by eminent South African academics and policymakers to serve as a catalyst to finally confront and resolve inequality. With papers from former Public Prosecutor Thuli Madonsela, Ben Turok and former President Kgalema Motlanthe, this book provides a guide to how the nation can confront and resolve the inequality plaguing the country. The nation is headed to the polls later this year and books such as this are vital for providing a strong guide on how those in power can address South Africa’s biggest economic crisis. A great contribution to the current political discourse, the book both confronts the issue and provides strategies on how to remedy inequality. Michael Nassen Smith is currently the deputy director of the Institute for African Alternatives (IFAA), having previously lectured at the University of Cape Town in the politics department. Michael is eager to connect intellectual work with pursuits for social and economic justice. He is also interested in promoting interdisciplinary work in the academy.